Inside Dimensions: 12.5 cm height x 5.7 cm dia. Miles Scientific's glass TLC developing chambers provide optimum developing conditions for a variety of TLC plate sizes and shapes. 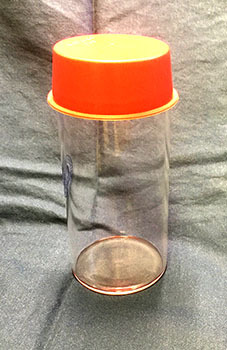 NOTE: This developing chamber ships with an economical plastic lid.